This is a round New England Telephone & Telegraph Co. porcelain sign. This particular New England Telephone & Telegraph Co. sign is predominantly white with blue text and a blue bell in the center. 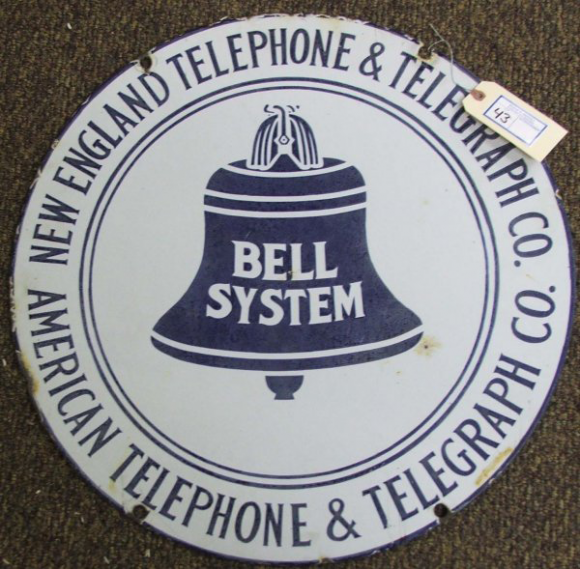 It reads, “New England Telephone & Telegraph Co., American Telephone & Telegraph Co., Bell System”.